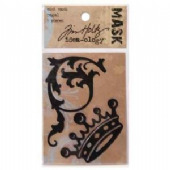 Part of Tim Holtz's Idea-ology Collection, these unique masks are the opposite of a stencil. This flexible material has a lightly tacky repositionable backing that will hold its placement as you paint. 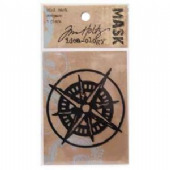 Try these with spray and acrylic paint, inks, and dyes. Ideal for card making and scrapbooking.